“This agreement is a basis for the construction of the building for higher education where our citizens of both Serbian and Albanian nationality will study,“ said the Minister of Education, Science and Technological Development Tomislav Jovanović. The Mayor of Bujanovac Nagip Arifi emphasised his gratitude to all partners and said that the signing of the Memorandum is a step towards signing of the contract for the construction of the building. “This is a very important step for all of us, because, as some people say, where the faculties are being opened prisons get closed”, Arifi said. “We already have 255 students in Bujanovac, and by the end of the year we expect to have 340. The Faculty of Economics in Subotica has tradition of bilingual education and I am sure that we will achieve good results in Bujanovac too,” said the Dean of the Subotica Faculty of Economics Nenad Vunjak. The Municipality of Bujanovac owns the land where the construction of the building for higher education is planned, and it will, according to the Memorandum, concede the new building free of charge to the Subotica Faculty of Economics for a minimum of 16 years. The Faculty of Economics, according to the Memorandum, has responsibility to organize eight study programmes at Bujanovac Department. “We have achieved huge progress together and I can confirm that the European Union is ready to fund the construction of the building together with the Government of Serbia, as soon as other legal and technical conditions are acquired. The construction of the faculty building will enable young people from Bujanovac and the whole region – Albanians, Serbs, Roma and others, to exercise their right to education and to develop their potentials. 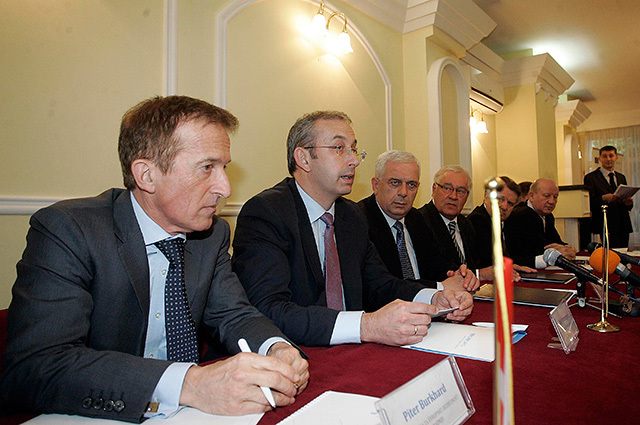 The availability of young professionals will create a base for fast development of the South Serbia, and it will create bigger chance for them to find jobs or start a business, “ the Ambassador of the European Union in Serbia Michael Davenport said. 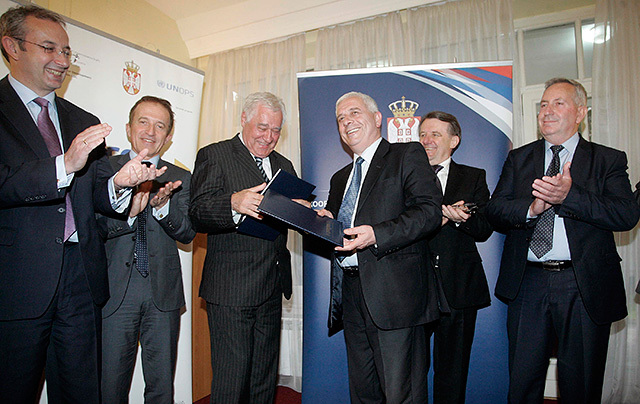 The President of the Coordination Body of the Government of Serbia for the municipalities Preševo, Bujanovac and Medveđa Zoran Stanković praised the achieved progress in this joint project of the Government of Serbia, international organizations and the Municipality of Bujanovac, and confirmed that the funds for the construction have been planned by the Delegation of the European Union, the Government of Serbia and the municipality. The building should be constructed through the European PROGRES Programme, which will be implemented by the United Nations Office for Project Services (UNOPS). 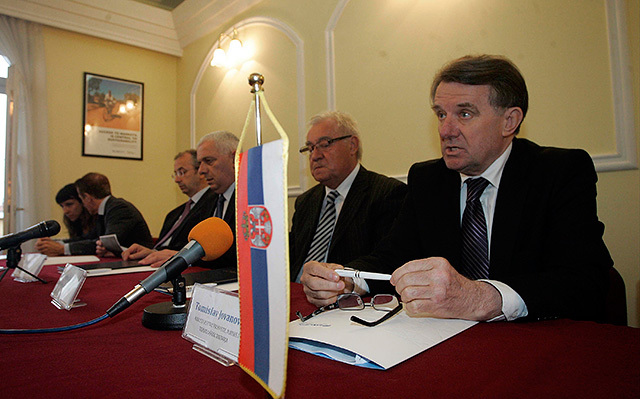 All activities related to the implementation of the Memorandum will be monitored by the Stakeholders’ Committee which will, besides the Faculty and the municipalty, consist of the representatives of the OSCE High Committioner for National Minorities, the Ministry of Education, Science and Technological Development of the Republic of Serbia, the Coordination Body of the Government of Serbia for the municipalities Preševo, Bujanovac and Medveđa, the University of Novi Sad, the Albanian National Minority Council, the OSCE Mission in Serbia and the Delegation of the European Union in Serbia as the main donor. 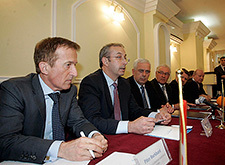 The Head of the OSCE Mission Peter Burkhard said that the signing of Memorandum is a key step towards the sustainable solution for the work of this institution’s department. Bujanovac department of the Subotica Faculty of Economics was opened in October 2011, with the support from the Coordination Body of the Government of Serbia for the municipalities Preševo, Bujanovac and Medveđa, Ministry of Education, Science and Technological Development of the Republic of Serbia, Municipality of Bujanovac, Albanian National Minority Council and international donors. Currently, in Bujanovac, the classes are held in Serbian and Albanian languages as part of accredited study programme Marketing, and the Faculty is in the process of obtaining the accreditation for other two study programmes – Agriculture economy and agro business and Finance, banking and insurance. At the beginning of the academic year 2013/14, there were 255 students enrolled in this Department (104 in the first year of studies, 83 in the second year and 68 in the third year). Ther problem with the lack of adequate space appeared in 2012, when the second generation of students was enrolled. Since then, the classes are temporarely held in the renovated Culture Centre and rented premises. 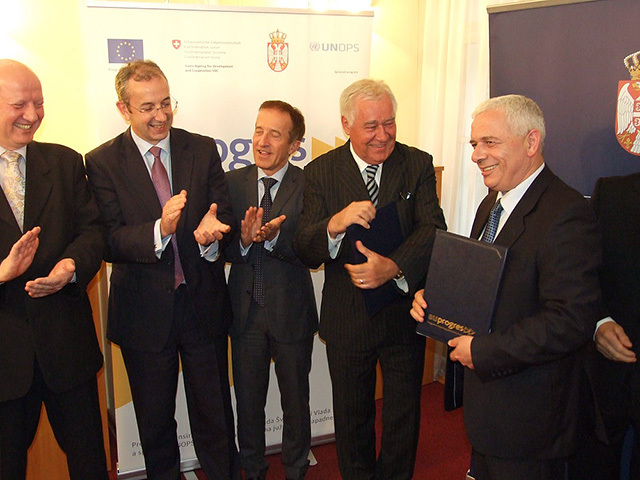 The Municipality of Bujanovac provided the land for the construction of the building for higer education, while the European Union and the Government of Serbia through the Coordination Body expressed the readiness to fund the construction.